Stronger and thicker than standard metal hangers at 10 gauge 3mm (standard is 13 gauge). Tough, bright, white smooth galvanised finish for longer life. Available in plain or notched style. Size: Width x Diameter 40cm x 3mm (16" x 0.1") approx. Great service from a well organised company with quality products. Hangerworld are a pleasure to do business with. 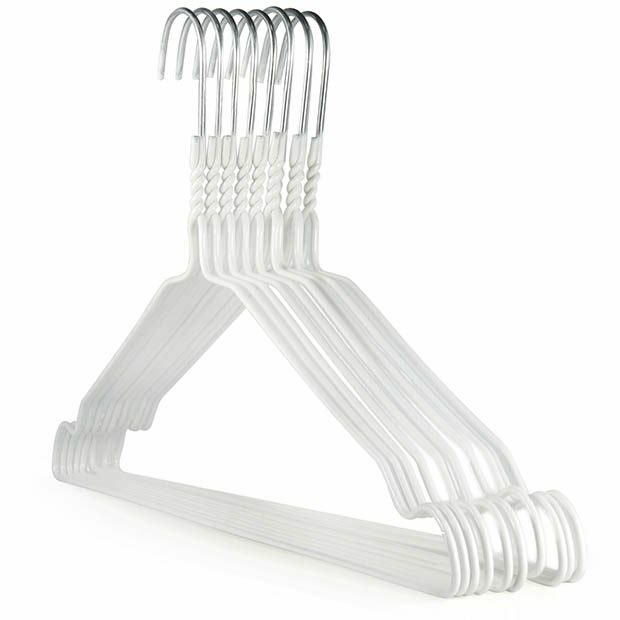 Good quality hangers at a sensible price and prompt delivery. Just what I was looking for.